Home > Achievements > IDEEO Project has started! IDEEO is funded under the COSME Cluster Go International action and will run over fifteen months, starting from 1st January 2018. The consortium is coordinated by the European Association of Remote Sensing Companies – EARSC and composed of 2 sectorial clusters Pôle Mer Bretagne Atlantique (France) and Cluster Lucano di Bioeconomia (Italy). The NEREUS network is also involved as partners for dissemination and contact with the regions. Maximise the impact of the activities through well-defined communication, dissemination, stakeholder engagement and exploitation strategies. 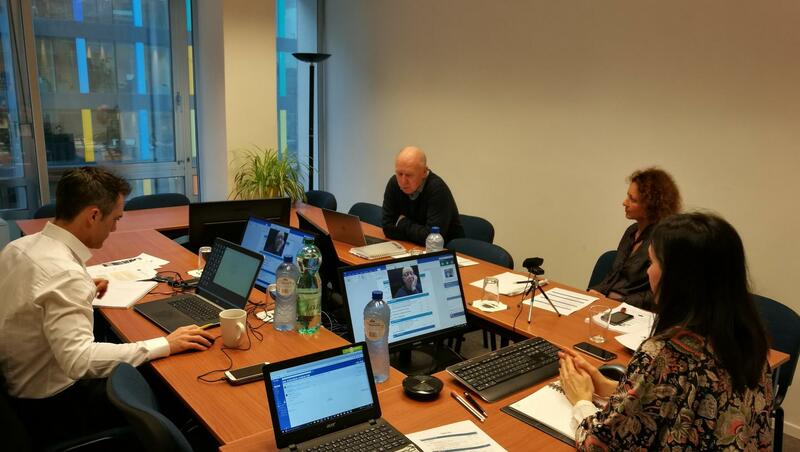 The project kicked-off on January 10th, 2018 at EARSC’s premises in Brussels. Two thematic workshops will be organised around the agriculture sector in Matera, Italy (end of April) and maritime sector in Brest, France (beginning of October) in order to create sinergies with the EO sector and better define internationalisation priorities.